Two graduate students are killed in the middle of the night only a quarter-mile from campus. Patrick Healy reports. Two University of Southern California graduate students from China were shot to death in a car overnight in what could be a bungled carjacking, Los Angeles police reported Wednesday. The victims, a male and a female, were shot around 1 a.m. local time on a residential street about a mile from campus. USC later identified the victims as electrical engineering grad students Ying Wu and Ming Qu. Police were interviewing neighbors and searching the area on Wednesday. A Los Angeles police spokesman said a witness saw a man running from the scene, NBCLosAngeles.com reported. 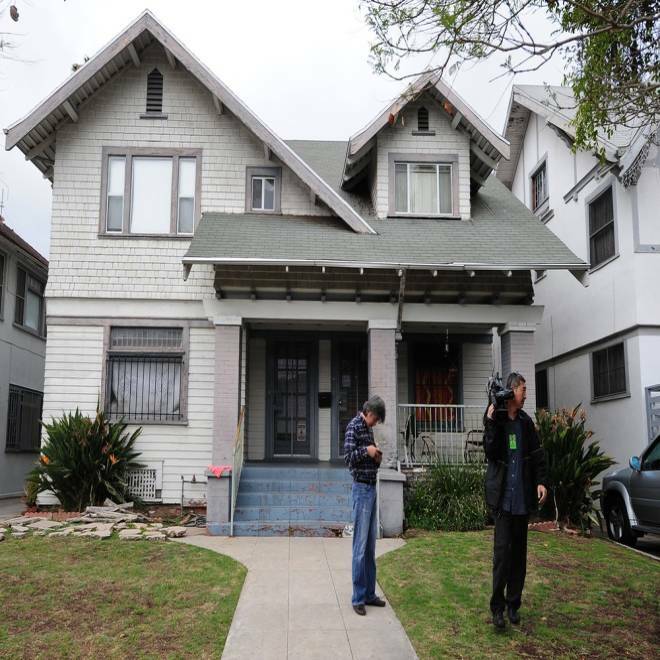 One of the Chinese students shot dead in Los Angeles had run to this home for help. The male victim was able to stumble onto a nearby porch before collapsing, while the woman was found slumped over inside the vehicle, a late-model BMW, the Los Angeles Times reported. USC campus police sent out two alerts about a deadly off-campus shooting -- one at 6:03 a.m. that reported a shooting, and a second 21 minutes later that stated that a male and female had been shot dead. The campus was not locked down, though the second alert advised students "to be mindful of their surroundings and review safety tips" on a USC website page. USC says 7,200 of its 38,000 undergrad and graduate students in 2011 were international, and that the largest group was from China.